Two famous Russian deep-sea subs equipped with cutting-edge technology are exploring the depths of Switzerland's Lake Geneva. On Tuesday, two subs – MIR-1 (Peace-1) and MIR-2 (Peace-2) have completed their first dive. The two vessels appeared above the water 30 minutes apart. “The dive went well. We plunged to a depth of 296 meters. Though the visibility was really bad – about one meter,” said Russian specialist Anatoly Sagalevich of Russia's Shirshov Institute of Oceanology, which owns the MIR submersibles. Up to the end of August, subs will dive daily into the depths of the second largest lake in Central Europe, on the Swiss-French border. They will test just how clean the water, consumed by thousands of Swiss and French every day, really is. The deep-water subs will also be collecting data on the geology and physics of the lake. Both subs are accompanied by more than 20 Russian scientists and specialists. Scientists from the USA, Great Britain, Switzerland and France are also involved in the research program. ­These vessels are two of few in the world that can function as deep as 6,000 meters. But this time they will only plumb to 300 meters, the deepest point of Lake Geneva. The mini-subs are famous for their expedition at the Titanic wreck site in 1997, which provided some unique footage of the real ship for James Cameron's epic movie. And in 2010, James Cameron, celebrating his 56th birthday, dived into the deepest and oldest lake in the world, Baikal, using one of these subs. 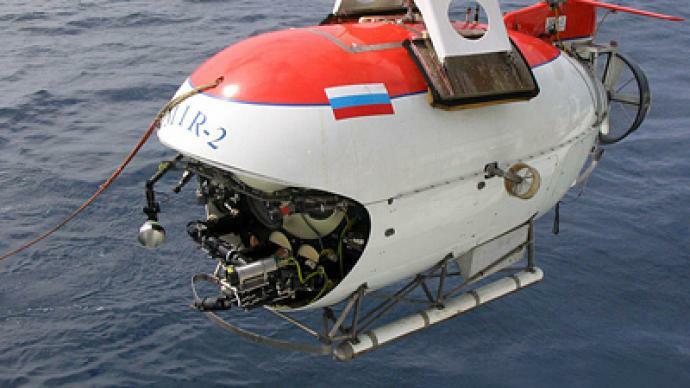 Back In 2007, the same two submersibles probed the Lomonosov Ridge in the Arctic Ocean to prove it was the continuation of Russia’s continental shelf. In August 2009, Russian Prime Minister Vladimir Putin dived in one of the Mir subs and became the first Russian politician to reach the bottom of Baikal.